A reining rider whose horse tested positive for the anabolic steroid stanozolol had not been aware the drug had been given to her mount by a veterinarian, the FEI Tribunal was told. Jessica Sternberg, who has represented Britain in the discipline, had competed Shiners Chic in a 3* reining competition in Katy, Texas, in April last year. The horse was selected for testing and returned a positive result for stanozolol, an anabolic steroid used to improve performance by promoting muscular development. It is a banned substance under the FEI’s anti-doping rules. The circumstances around the case were agreed in writing between Sternberg and the FEI, and submitted to the tribunal for its consideration. The FEI said it accepted the circumstances of the case were exceptional and agreed to a lesser suspension from competition of 17 months, instead of the usual two years. Sternberg was also fined 3000 Swiss francs and ordered to pay 1000 francs towards legal costs. Sternberg was told of the failed drug test on July 5 last year. Nine days later, she declined her right to a preliminary hearing and decided against having the B sample tested. Sternberg admitted that Shiners Chic competed on the day in question after having been given stanozolol some days earlier, but advised that she was unaware at the time that the horse had been treated with the substance. For this reason, she would seek a reduction of sanctions based on degree of fault. In a full explanation which followed, Sternberg said she and her mother had investigated and determined that Shiners Chic had been given stanozolol by a licensed veterinarian, Dr John McCarroll, by injection on April 7, 2017. Dr McCarroll had not been asked to give the drug, and had not told anyone associated with the horse that he had done so. Sternberg said she understood that, as the rider, she bore ultimate responsibility. However, she also recognized that if a horse she brought into the ring was given a substance by someone indirectly entrusted with its care, then some level of negligence must be attributed to her. Sternberg is a 27-year-old university graduate who works in her family’s non-equestrian business. She is not a full-time rider. She rides in, at most, six horse shows a year. She lives in London and, as a consequence, must entrust to others the care of the horses she rides, who are in the United States. Shiners Chic is stabled in Texas at Sterling Ranch, which is owned by the rider’s mother, Rosanne Sternberg. In addition to stabling several horses, Sterling Ranch operates a substantial program for breeding American Quarter Horses. 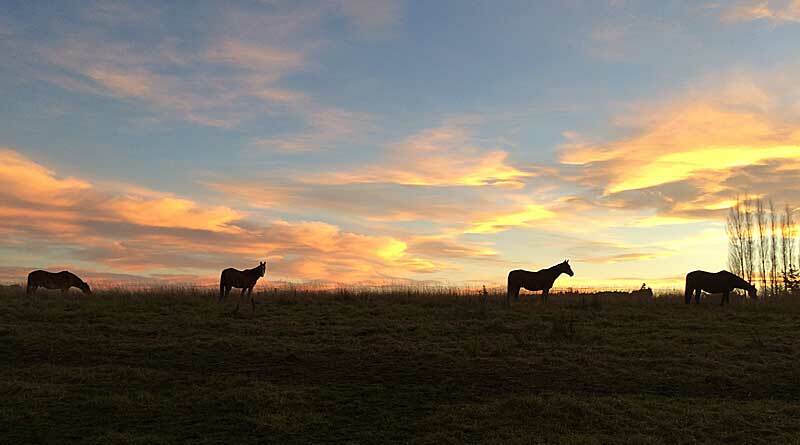 At any given time, Sterling Ranch is home to more than 160 horses. The day-to-day care of the horses at Sterling is handled by the ranch manager, Sean Pulley. They are duties he has performed without incident for 17 years. As the April competition approached, Pulley wanted to have the horses that would be going to the event examined to make sure they were fit to compete. The operation usually used a particular vet for its competition horses, but he was not available in this instance. Because the ranch is home to so many horses, it has also used the services of other veterinarians, including Dr McCarroll. Until recently, however, Dr McCarroll did not provide regular care for the competition horses at the ranch. Pulley expected that the only treatment Shiners Chic would receive from Dr McCarroll would be an injection of platelet rich plasma, or “PRP.” This was intended to ease minor arthritis that Shiners Chic had in his front fetlocks. Pulley is certain that he was not told that Dr McCarroll was going to inject Shiners Chic with stanozolol. Indeed, Dr McCarroll, who also submitted a signed statement, conceded that he did not tell Pulley that he was going to undertake this treatment. He had therefore injected the horse with the anabolic steroid. “Neither Jessica Sternberg nor her mother had any idea that Dr McCarroll injected Shiners Chic with stanozolol until after the notification by FEI, since Dr McCarroll did not inform any of them of the treatment given to the horse,” the decision said. Rosanne Sternberg, the rider’s mother, said: “I have owned reining horses as well as competed in reining events for 30 years. “I have a deep interest in the health and welfare of horses and in the fairness of horse sports. I am a member of the Executive Committee of the National Reining Horse Association (NRHA), where I have helped develop the NRHA medication policies and fully advocate its strict implementation. “I would never knowingly permit a horse of my own or of anyone over whom I have any influence to compete after being subject to a banned substance. “It is an enormous embarrassment to me that this incident has occurred. It is even more disappointing and distressing that it happened to a horse that my daughter rides in competition. The rider submitted that the degree of negligence in the case should be compared to situations where positive test results are caused by lack of care in feeding horses, by misjudgments in the administration of substances at what are assumed to be “safe” withdrawal times and, of course, to situations where doping is intentional. By comparison to such scenarios, she submitted that her degree of negligence was considerably more minimal. The FEI said it was satisfied that the rider had shown how the banned substance got to be in the horse’s system, and that she bore no significant fault or negligence in the case. The circumstances, it said, were exceptional. A reduction in the normally applicable two-year ban on competing to 17 months was warranted, it said. The parties agreed a fine of 3000 Swiss francs was appropriate, with a contribution of 1000 francs to legal costs. The tribunal, comprising Chris Hodson, Henrik Arle and Laurent Niddam, noted the rider’s prompt admission of the rule violation. The tribunal accepted the agreement and its terms, including the 17-month suspension, fine and contribution towards legal costs.